Masala doodh or Spiced milk is a unique blend made from nuts, couple of spices and saffron.This is also a great way to sneak in some healthy nuts and saffron along with milk into our diet. 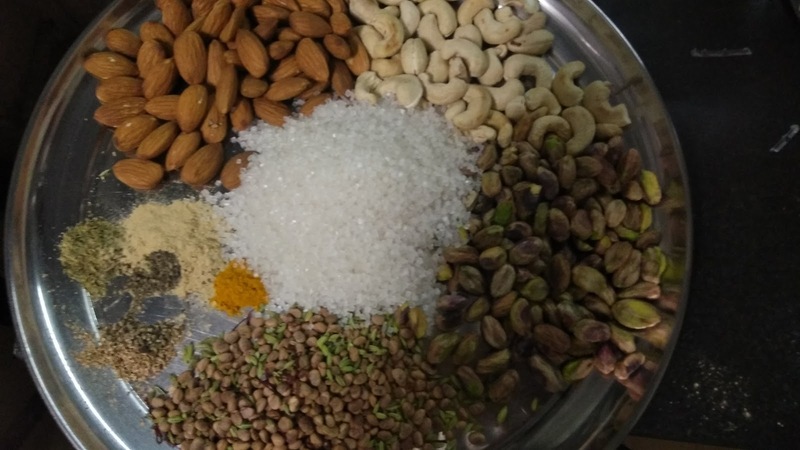 The presence of nuts in the masala powder helps to enrich the milk with added health benefits. 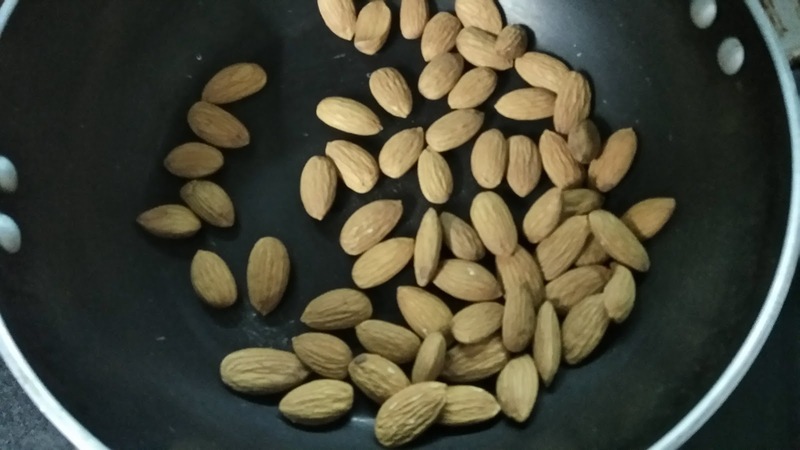 Its flavor, aroma and taste are ethereal and more than that, it offers many health benefits like antioxidants, vitamin E and zinc and many more. 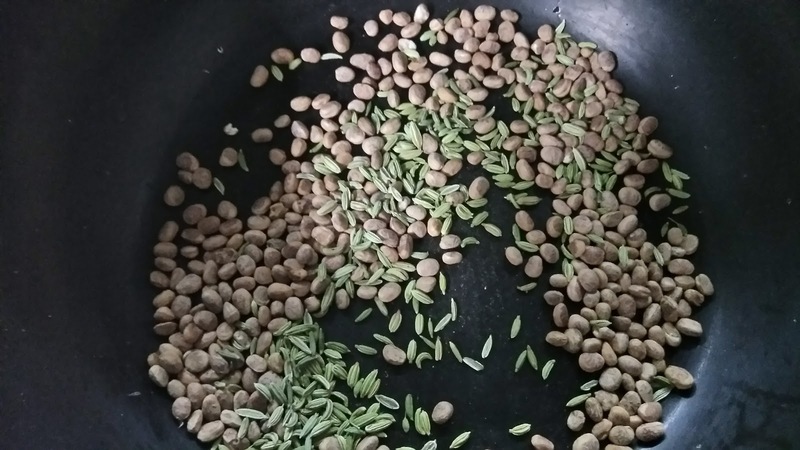 You can store this masala for more than a month and can enjoy in winters. I prefer using this as additive in milk for kids rather than going for those commercial milk additives. 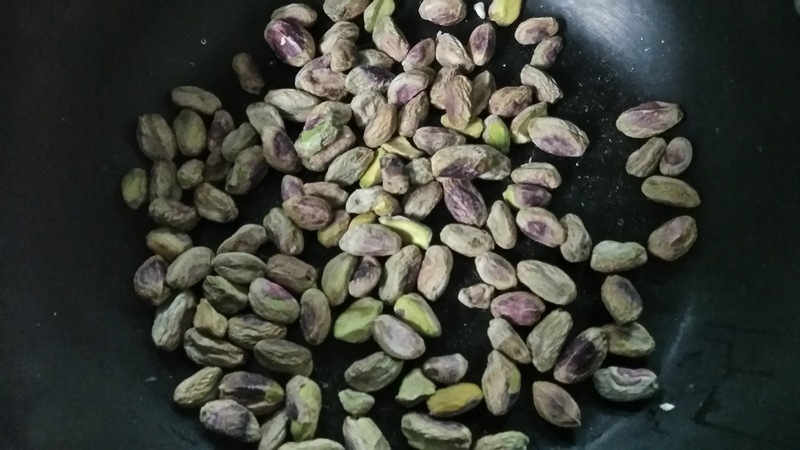 Dry roast almonds, cashews, pistachios at a time for 3-4 minutes. 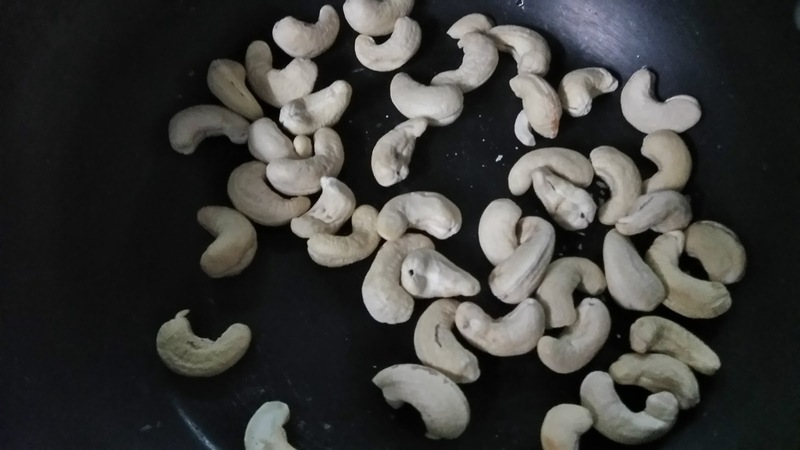 Cashews take 2-3 minutes to roast. Transfer in plate. 2. Dry roast chirongi and saunf for 1-2 minutes. Add kesar after 2 minutes and roast for another minute.Transfer in plate. 3. If you are using peppercorns dry roast them too. 4. In pic6 you can see all the ingredients I have used. 5. 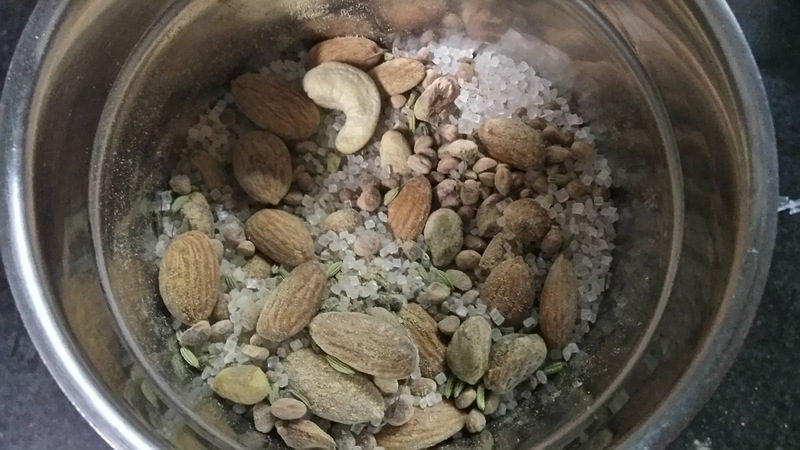 Take blender jar, add all the ingredients and blend to make fine powder as shown in pic below. 6. 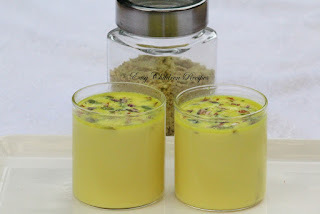 Store this in air-tight jar in fridge for 2 months and without fridge for 1 month. 7. Take 1 glass milk, add 2 tsp of powder, warm it or you can simmer for 2-3 minutes for thick and creamy milk. 8. 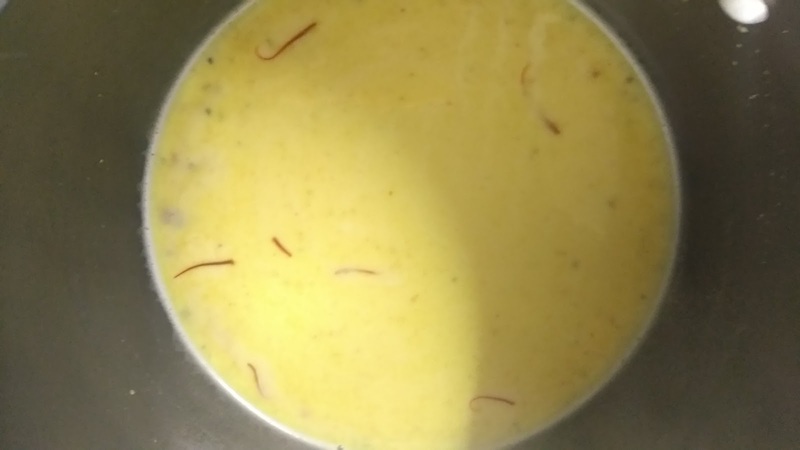 I added few more strands for kesar(saffron) for extra bright color. 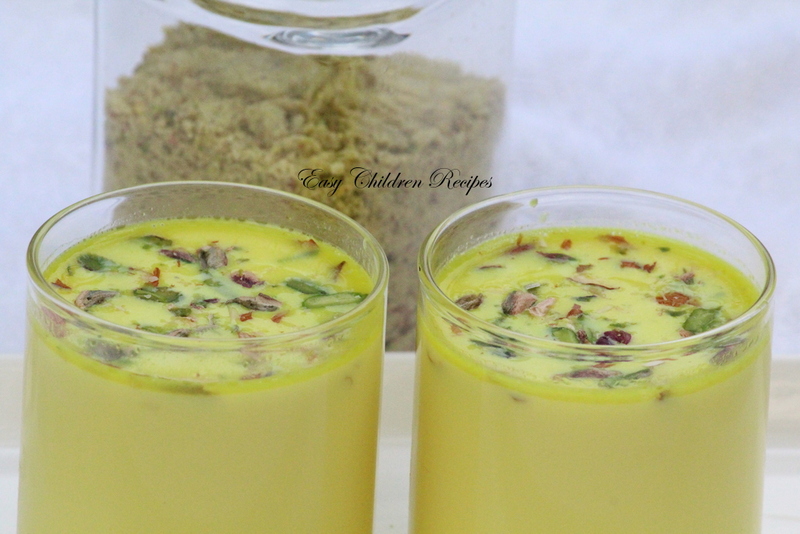 You can use extra 1/2 tsp of turmeric powder (haldi powder) as substitute of saffron. 4. 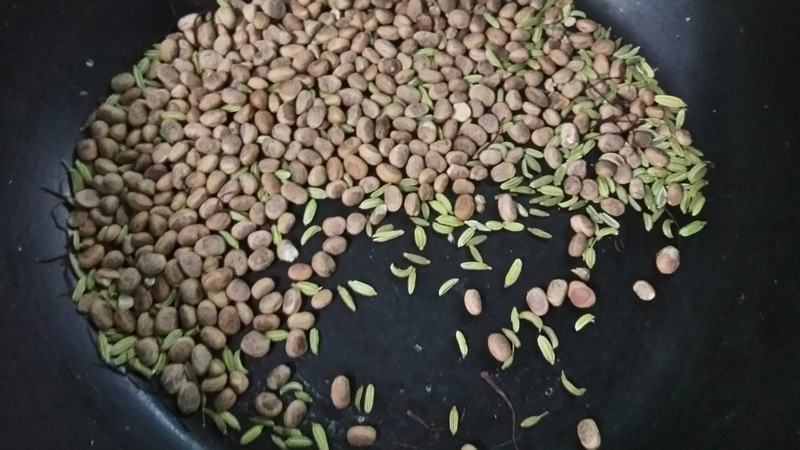 Dry roast chirongi and saunf. 5. Add kesar and roast for another 2 minutes. 6. All the ingredients are ready to go in blender jar. 7. Transfer in blender jar. 8. Make fine powder. Store in air-tight jar. 9. 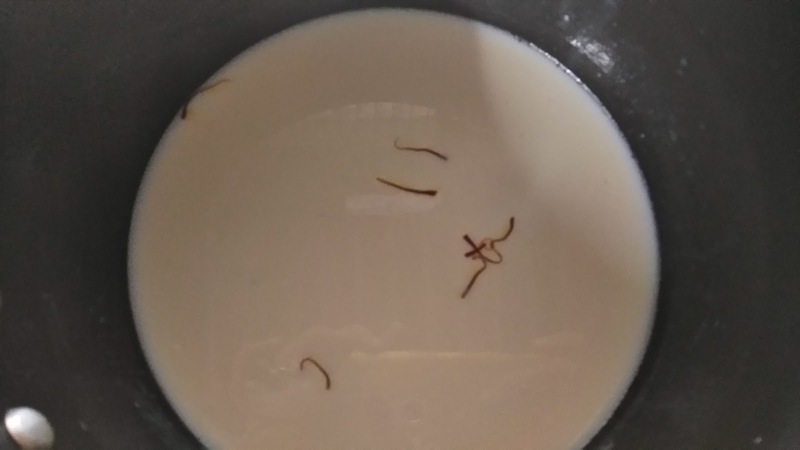 For preparing masala milk, take 1 glass of milk in heavy bottomed pan, add few strands of kesar. 10. 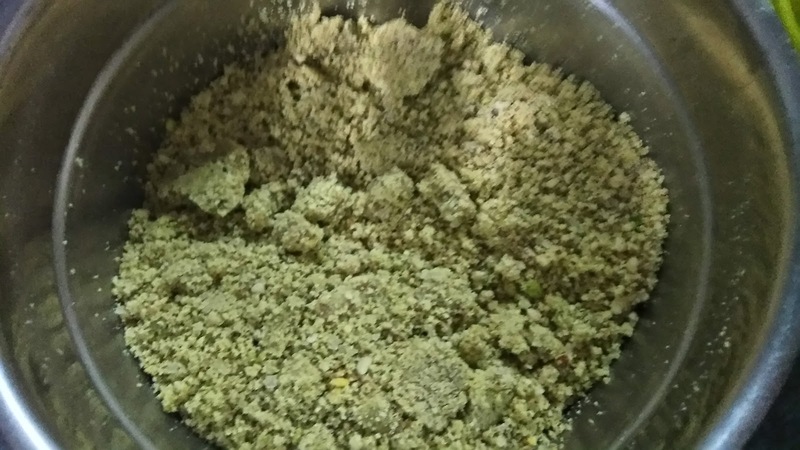 Add 1 tbsp of masala powder. 11. 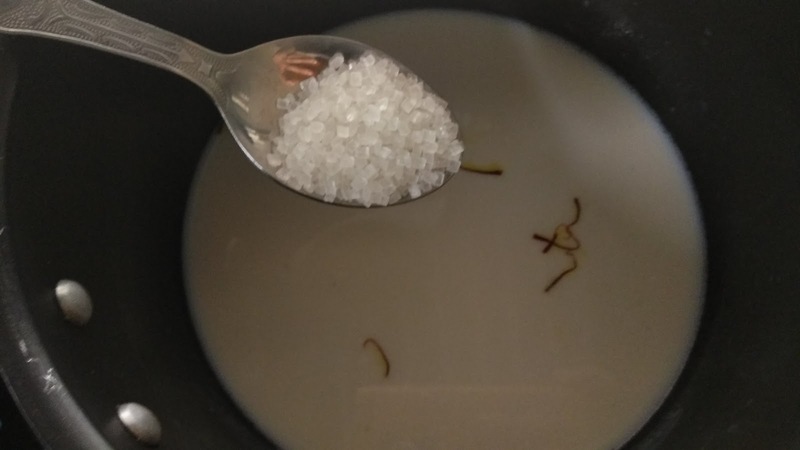 Sugar to taste, I added 1 tsp. 12. Add 1/4 tsp of turmeric powder for extra color. 13. Bring it to boil. 14. 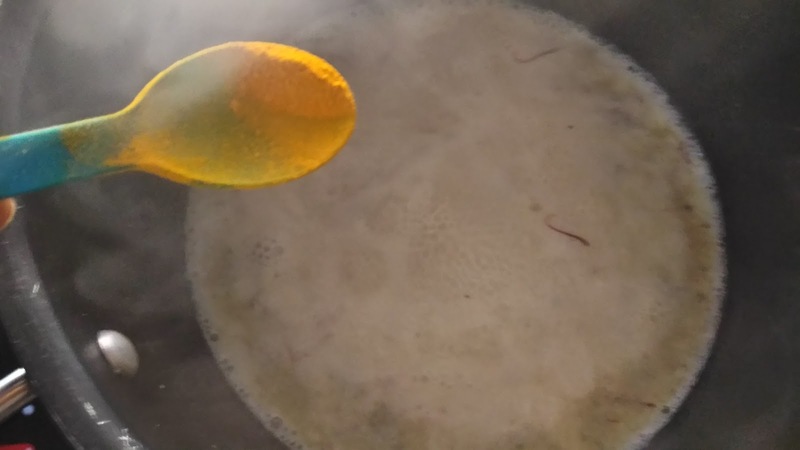 After boil, if you want it to be more thick and bright, simmer for 5 minutes. 15. Pour in serving glasses. 16. 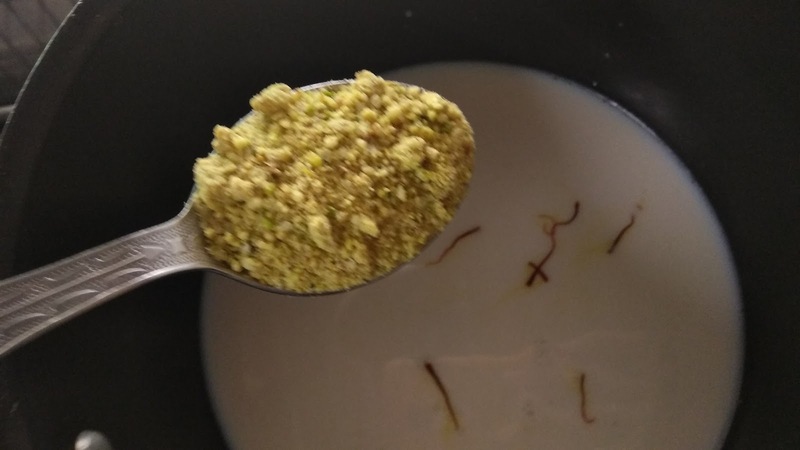 You can enjoy this drink throughout winters.